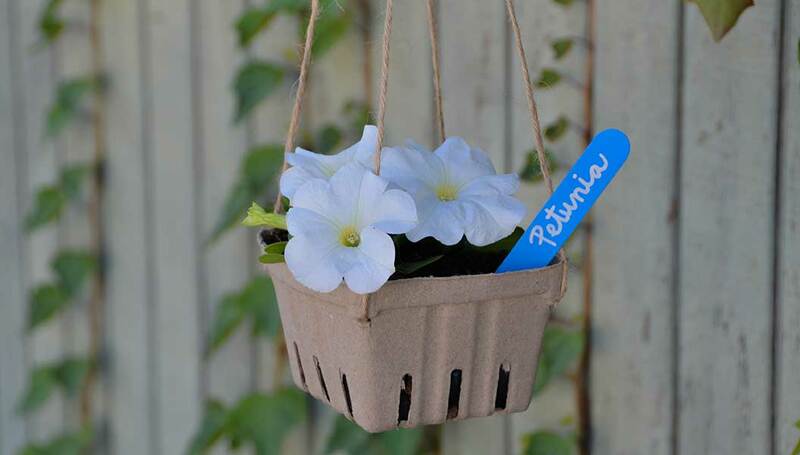 Leftover pulp produce baskets from your recent farmer’s market haul get an upcycled makeover in this simple hanging basket DIY. Hung alone or in groups, these rustic baskets add a touch of charming whimsy to any space. 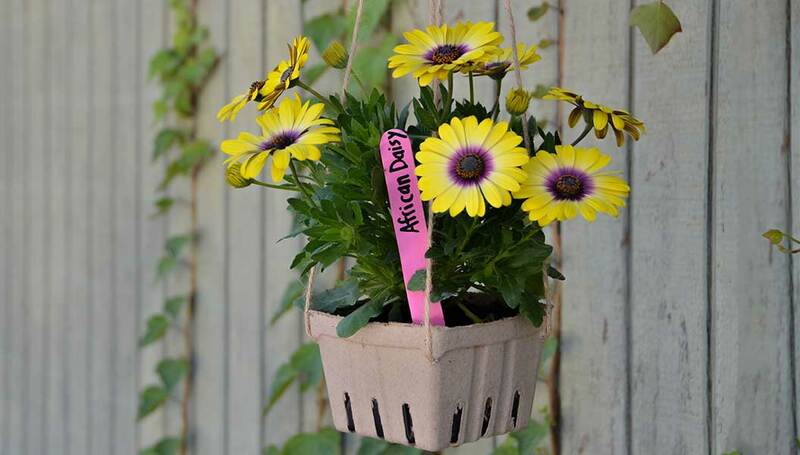 Try hanging them on tree branches for fun backyard décor or in an entryway for a colorful welcome. Entertaining for Easter? 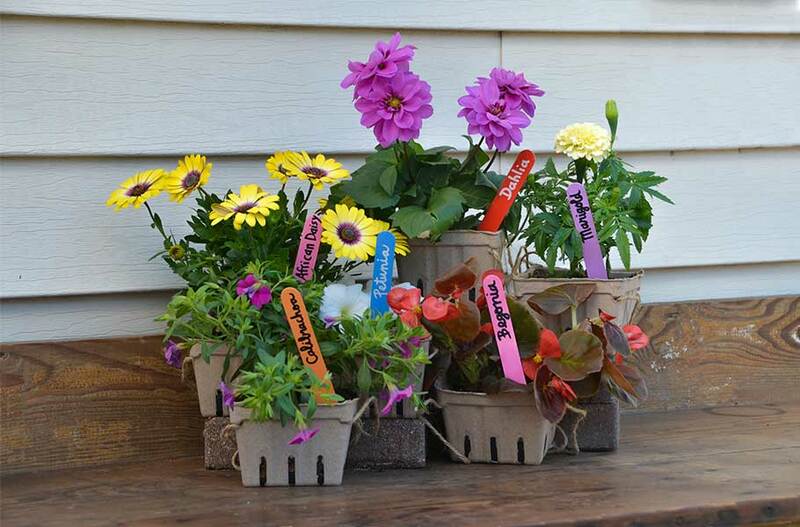 This kid-friendly craft doubles as an unexpected keepsake your guests will love. 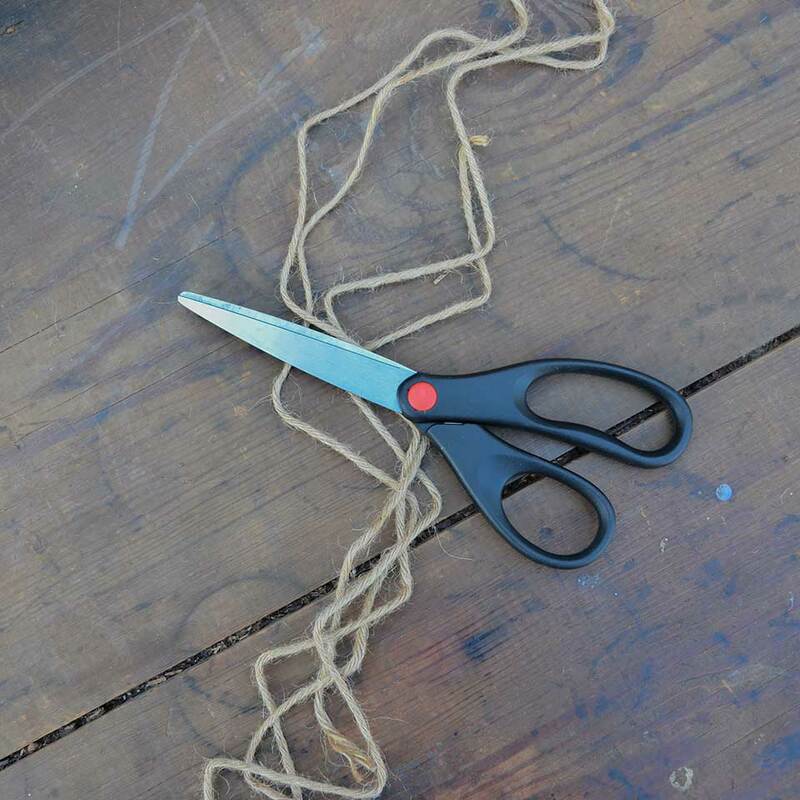 Measure and cut a length of natural twine. 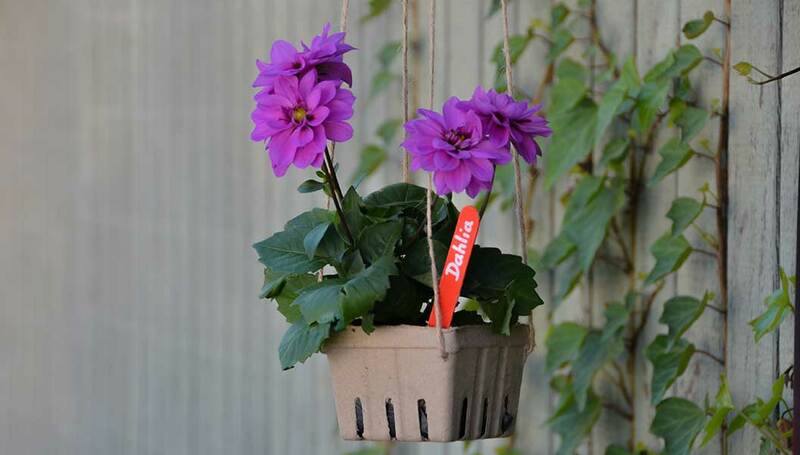 You can choose any length you prefer, but we recommend cutting the twine to accommodate the height of your potted flowers. 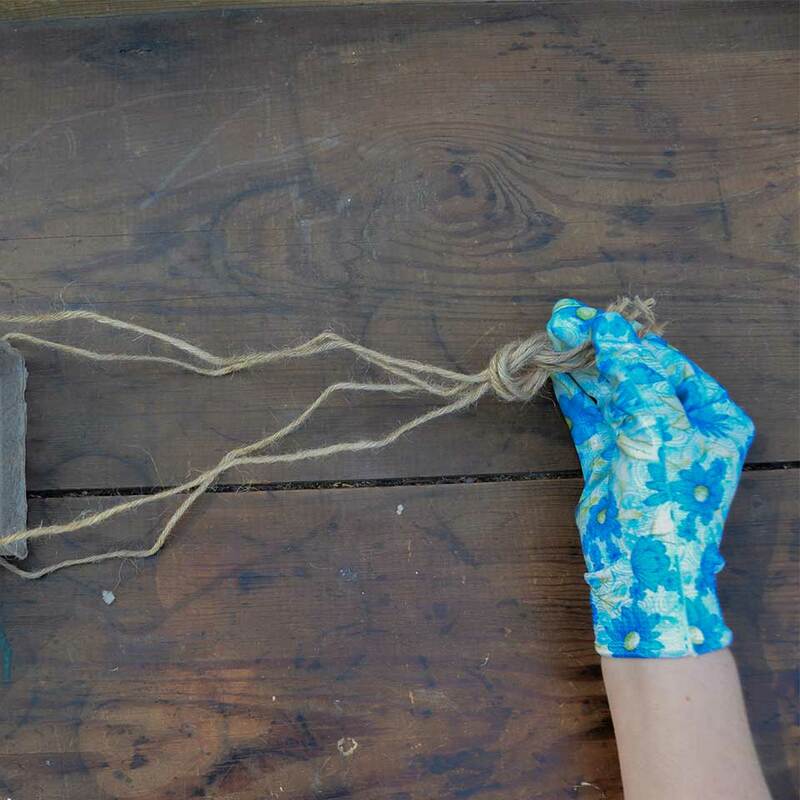 Repeat 3 more times so you have a total of 4 equal lengths of twine. 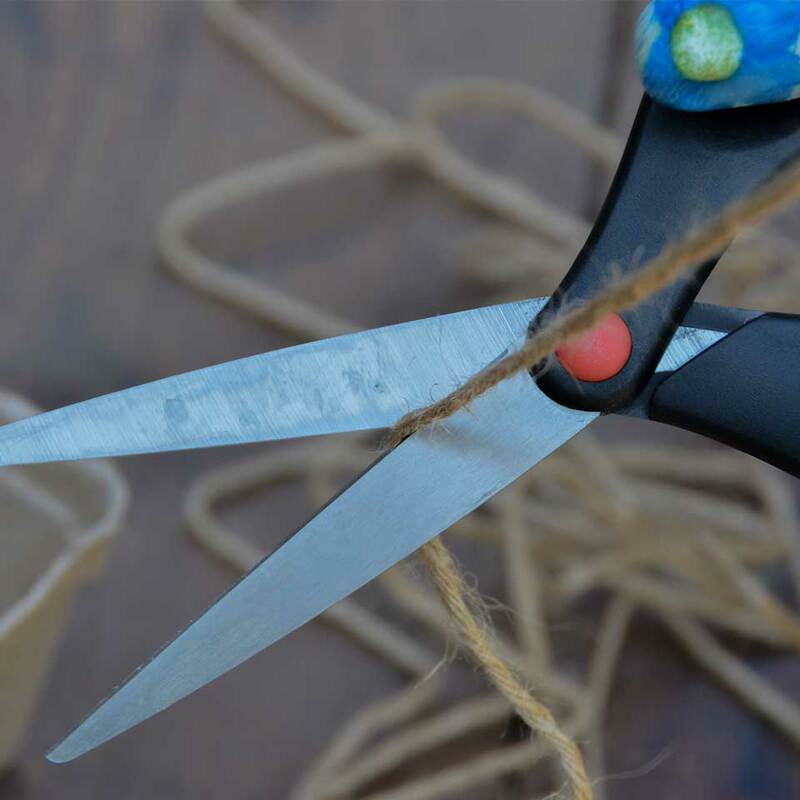 Tie a small double-knot near the end of each length of twine. 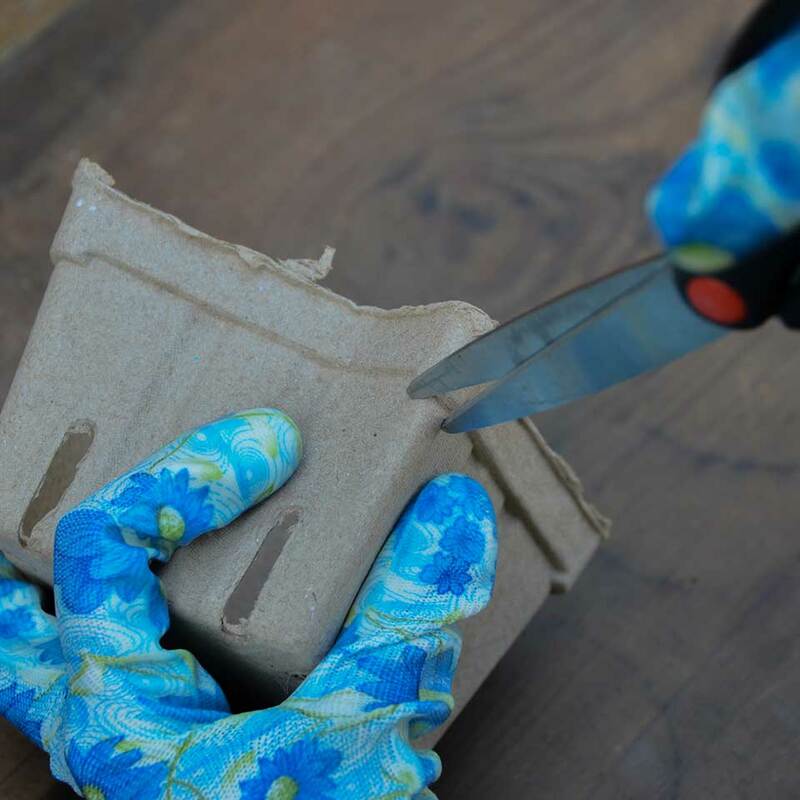 With caution, cut a small slit near each top corner of the basket. If your basket has a lip like ours, cut the slits underneath this reinforced rim to provide extra support. 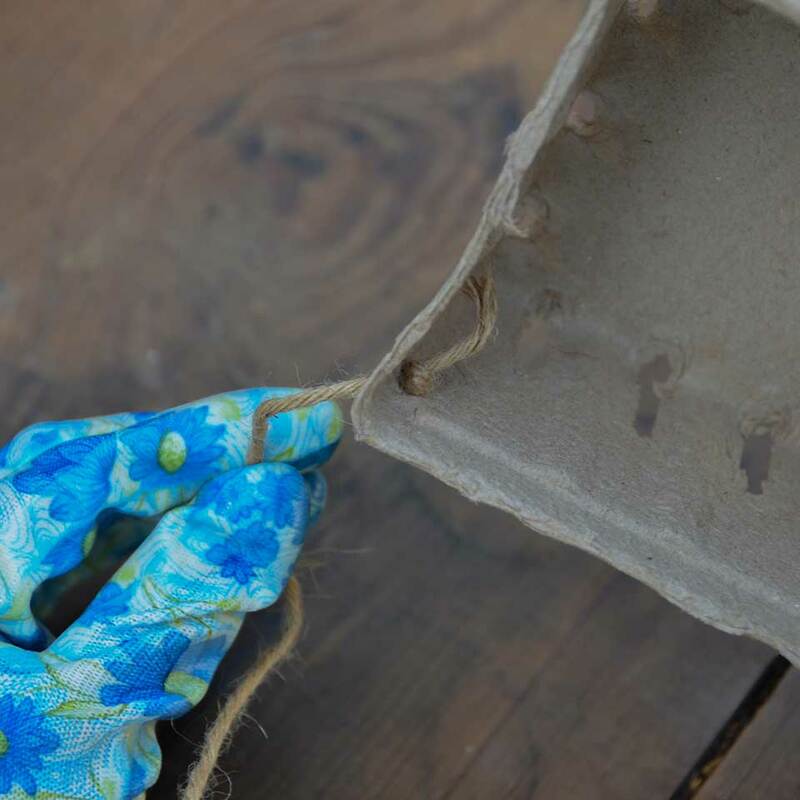 Thread the unknotted end of one length of twine through a slit you cut in the basket corner. Repeat 3 more times until each corner has been threaded with a length of twine. 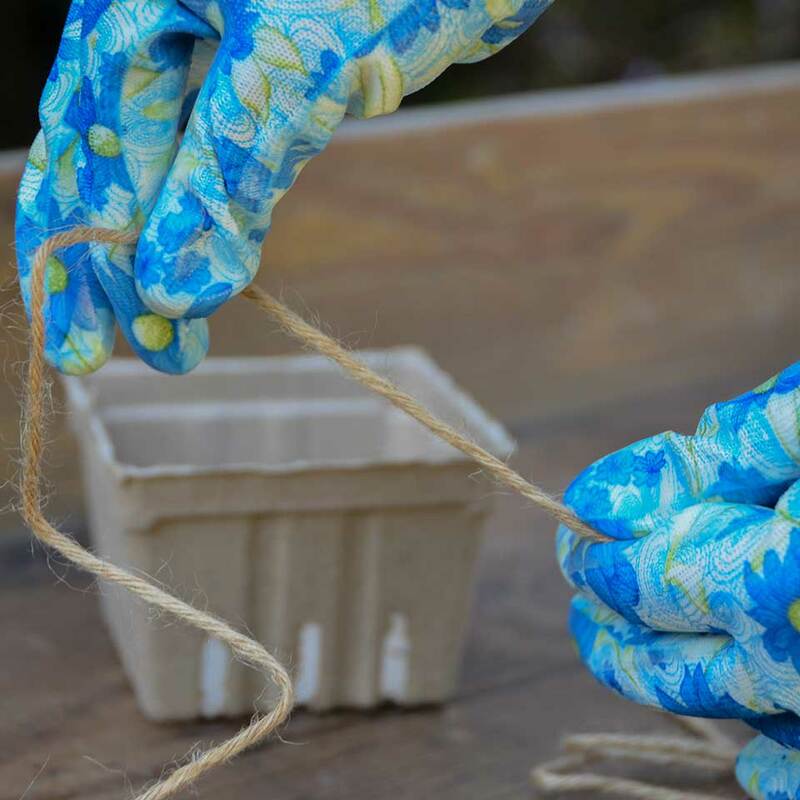 Pull all 4 lengths of twine taut above the basket and knot the ends together. 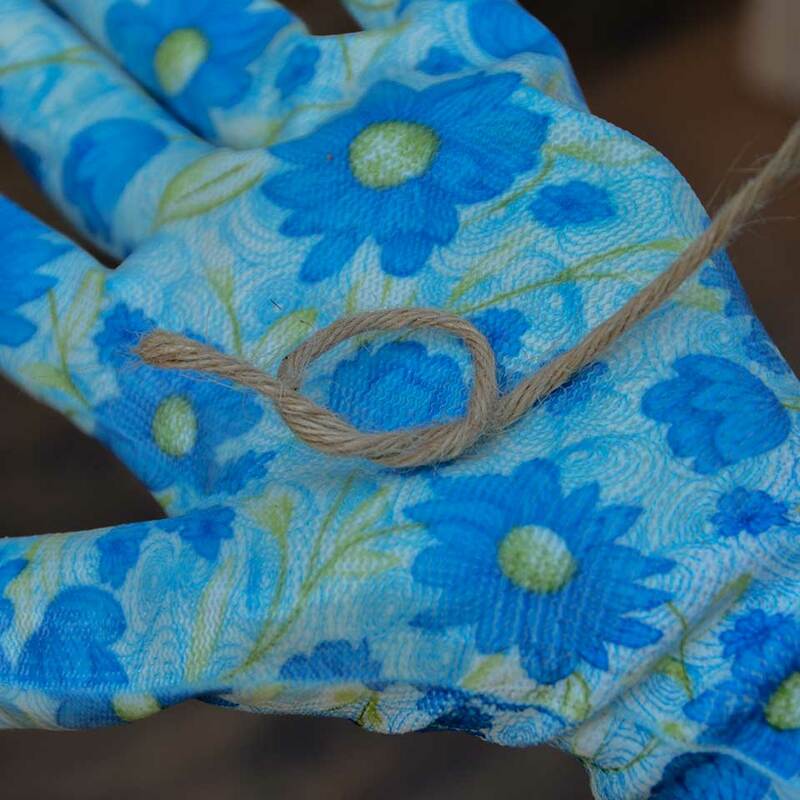 Try to keep each length of twine equal so your basket will hang evenly. 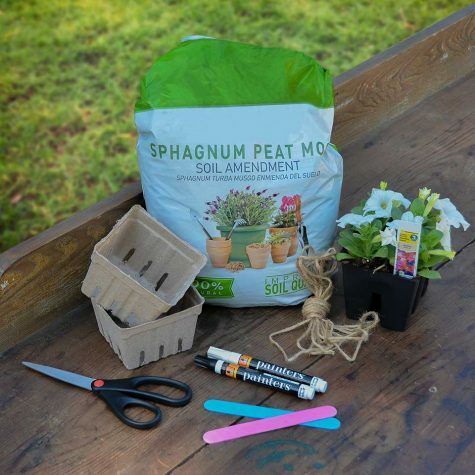 Next, partially fill your basket with peat moss or potting soil. 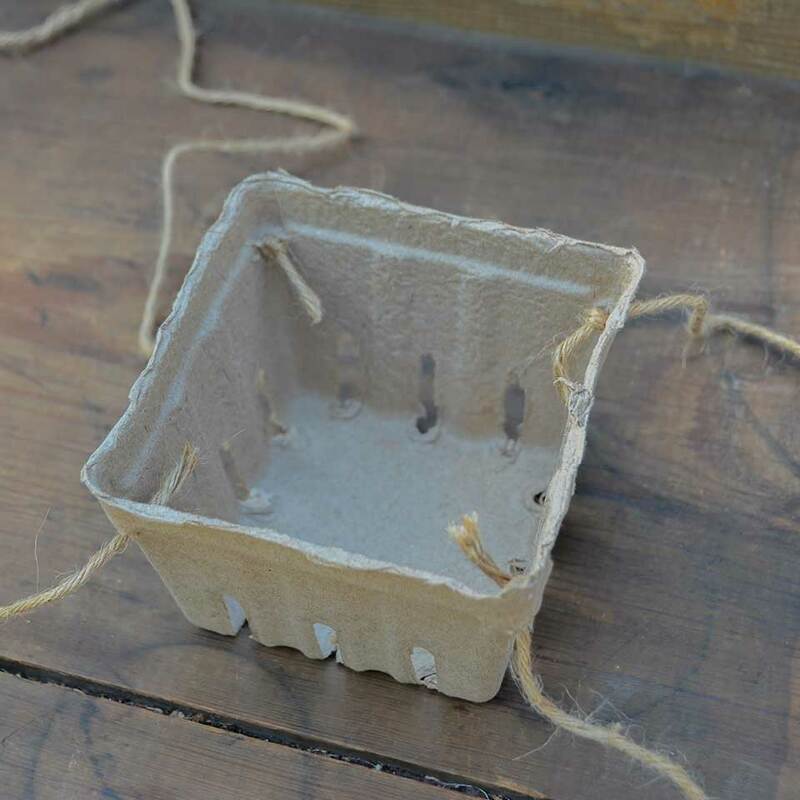 If the drainage holes in your basket are large, place a coffee filter or paper towel in the bottom to prevent the soil from spilling out. 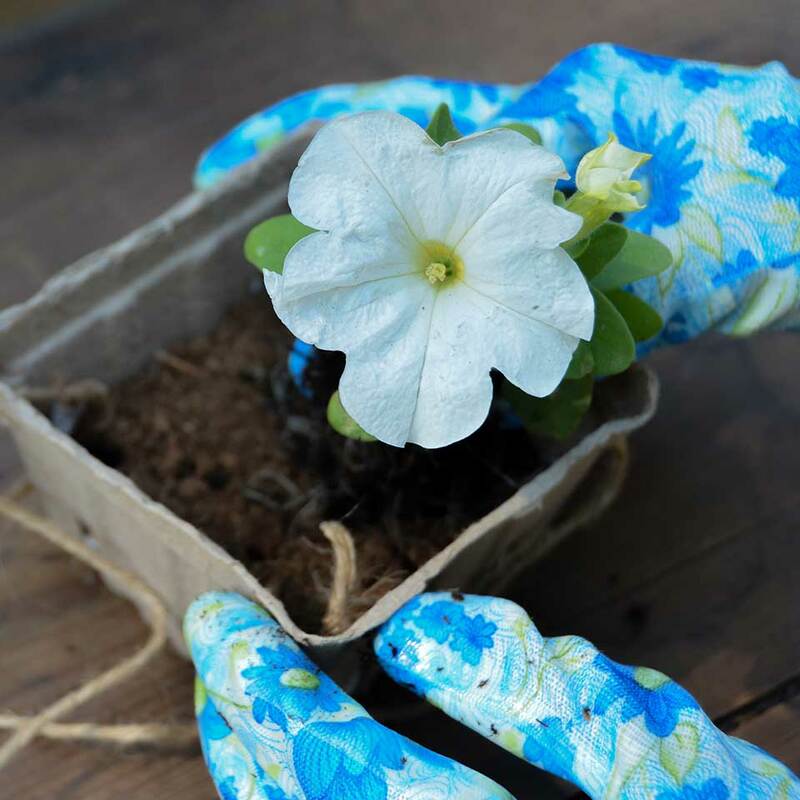 Remove your flowers from their containers and gently break up the root ball. 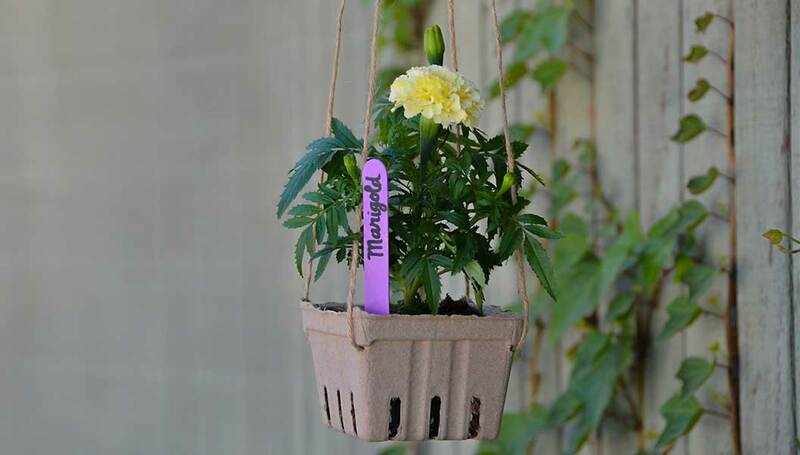 Plant your flowers in the produce basket, filling in around the roots with potting soil. 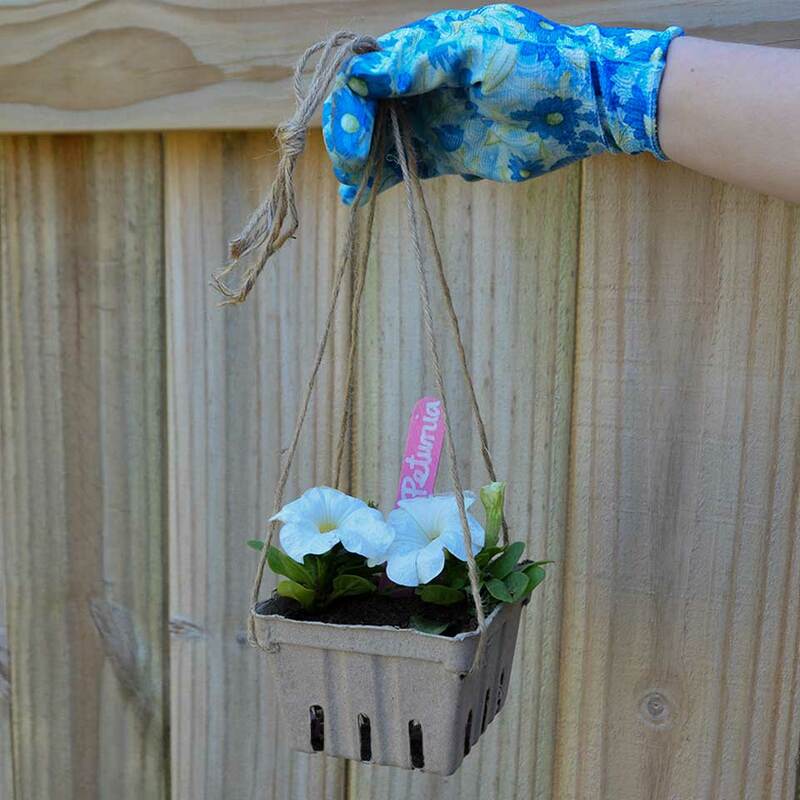 Loosely pack the soil and give the basket a light watering. 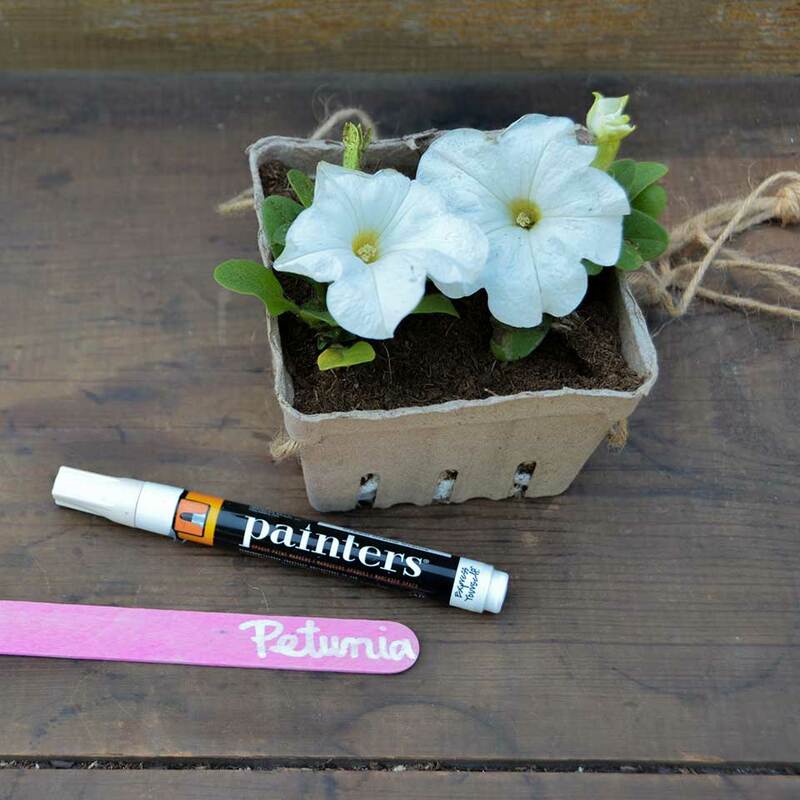 Label a popsicle stick with the name of the flower variety, the name of your guest or anything you’d like. 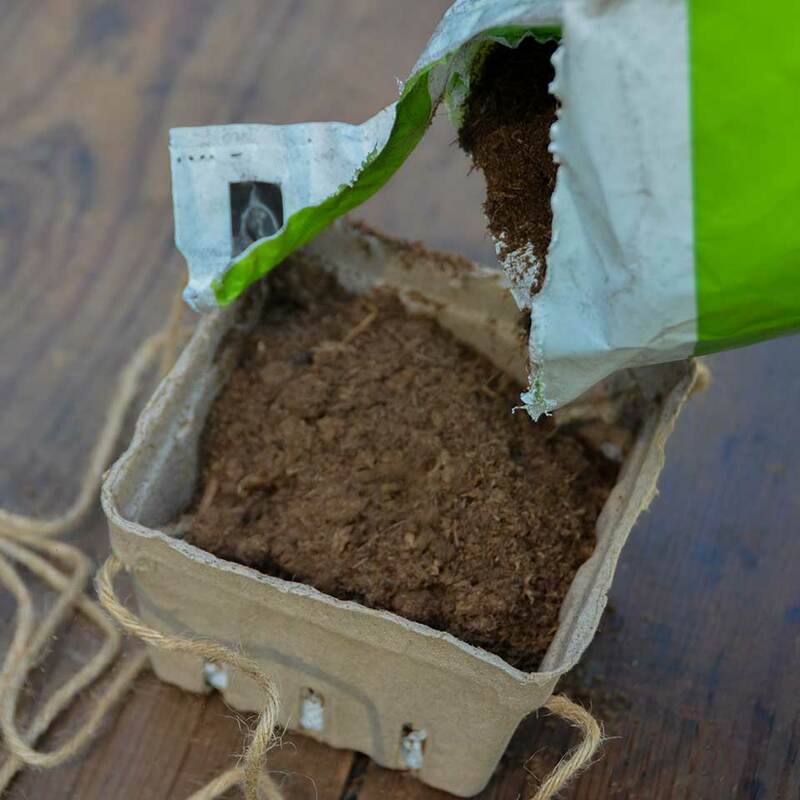 Place the stick in the soil. 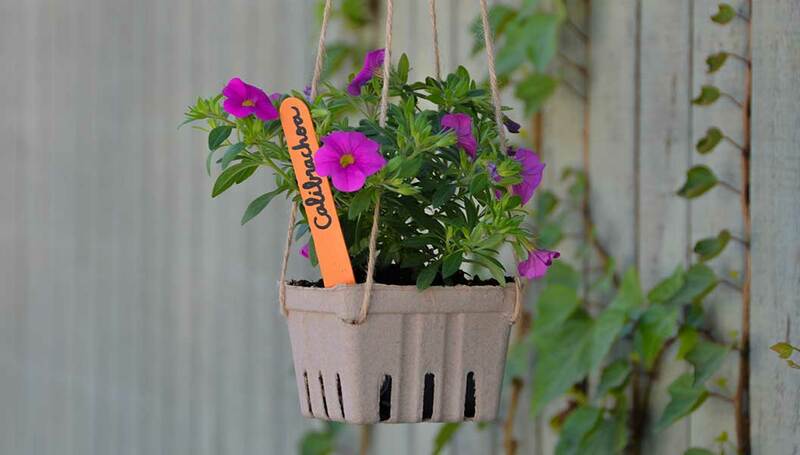 Hang your upcycled produce basket planter and admire your handiwork! 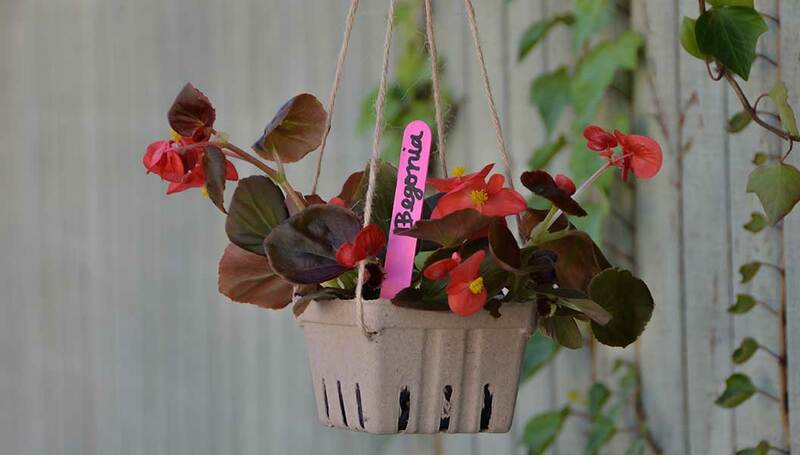 If the basket begins to break down, replant your flowers in a garden bed or weatherproof container to admire the blooms all season long.